Thank you Baseless Fabric Theatre company! 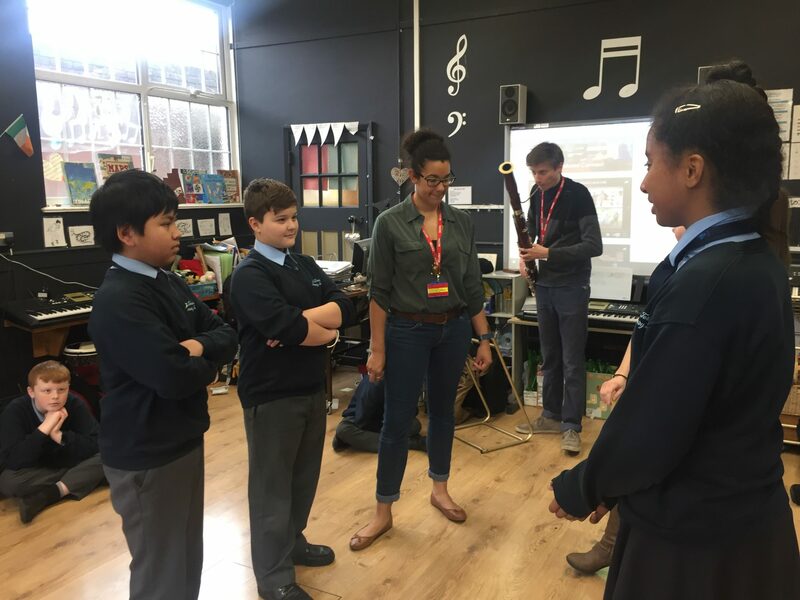 Well done to year 6 who did a great job of recreating a song from Cossi Fan Tutte with the expert help of Baseless Theatre company. Please can you leave a comment for the Joanne, Leo and Fizz as they would love to hear your feedback. Question: What inspired all of you? Where was the university that Fizz went to? Because when I’m older, I want to go to that university! True fact: I never realised until a certain age I was singing opera. It surprised me also! We really loved your performance and we hope to hear from you soon! Thank you for visiting St.Teresa’s. It was a very interesting and exciting lesson. I really enjoyed listening to the amazing voice of Opera and the excellent instrument, the bassoon. I enjoyed learning how to sing a dialogue from Fizz’s part in the theater. I loved singing Dorabella and the Gulliamo part. I loved to pretend to be Dorabella that was flirting with her friends boyfriend that was wearing a costume as a discise. I din't like pretending to be the brave Gulliamo as I did not feel that confident. 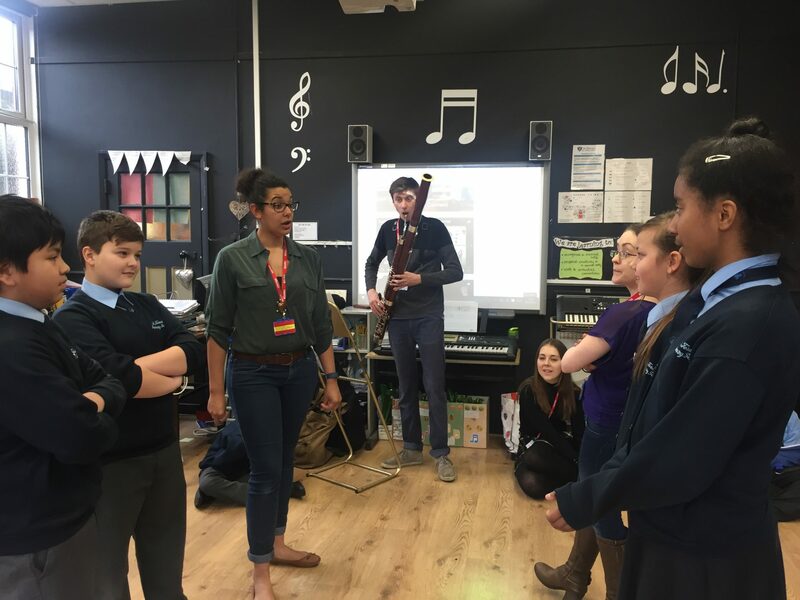 I thank you Jo for her workshop, I thank you Fizz for your outstanding Opera voice and i thank you Leo for playing a really difficult instrument, the bassoon! I wish I could have lessons but i probably won't be that good just like you Leo. Thank you sooo much for for coming to our school, St. Teresa’s, I loved it! Fizz, how can you sing so nicely and WOW, just WOW!!!! Your voice is so beautiful, amazing and powerful. Thank you for teaching us the ‘Button Song'(we were singing it in the playground all the time). Leo, you are just amazing at playing the bassoon and I bet even if I practiced really hard, I wouldn’t be able to play it as well as you do. THANK YOU! Jo, you have made an amazing workshop with your colleague’s and I REALLY enjoyed it. Thank you for teaching us how to play ‘Zip, Zap, Boing’. THANK YOU FOR OUR AMAZING WORKSHOP!!!! I really liked the amazing (jazz hands) opera workshop you put together for us. I especially loved the part when we had our own try at singing opera and when we played ‘The Button Factory’ as a warm up. It is now my favorite game to play! A big thumbs up to Leo, it is not every day that you listen to a bassoon you know! I have listened to you before, at Morden Library I think. I was absolutely delighted when you came in singing whilst I was fully enjoying an Alex Rider Graphic Novel. Your singing provided the perfect backing track for the adventures in the novel. I do wish to see you perform in public again! I have a question that I wish to ask: What is you’re favorite opera and why. If you were given the opputunity, would you perform as a character in that opera. Thank you for spending time revealing the wonderful world of opera to us! Thank you for coming to our school! Your visit helped most of us understand opera more deeper than we originally did. Your performance was outstanding and we hope to see more of you soon when you have a concert. Leo,Jo and Fizz, we really appreciate your effort in coming here. Leo, your outstanding performance playing the bassoon really entertained us. I think you really fit and deserve that part in operas. Jo, the way you direct and lead us in what we did in the lesson made us reflect and see how difficult it is to run a theater as amazing as yours. Fizz, your voice is very high and powerful. I loved the way you entertained us with your game: yo, my name is Jo, and I work in a button factory. Jo, even though we’ve played your game before, you had more entertaining rules that we ALL enjoyed. Especially , the boing! Leo, the rhythm and the enjoyment was spectacular! It makes me think how hard everyone works in operas. Everyone has their own little part to play. Oh and Fizz, everyone is still playing I work in a bus factory! Thank you again1 <3!!! Thank you baseless fabric coming to our school and I really enjoyed you guys coming. I saw your website and I really love it!! You guys look cool in your outfits and I actually am going to ask my parents to come to your theatre and I hope we go there and see you guys there!! I liked it but i wouldnt see my self doing it in future. Thank you so much for coming to our school and showing us how to sing opera. I really enjoyed the button song. My question is what was your best performance that you have ever done? This experience was really fun and inspiring! I really enjoyed it and I think when I say this I speak for everyone else. We learnt a lot from opera and even received the chance to sing some ourselves-just like real opera singers!! After the session many people couldn’t stop singing the button song as it had a really cool beat and as well as that, the dance moves were awesome and easy to dance to.It was a wonderful opportunity to meet professional opera singers who have a real career and sing opera in their everyday life! Thank you Miss Schnieder for this opportunity-we almost stepped into the world of opera!! When you are about to perform randomly are ou nervous or has the feeling of doing it more frequently has started to make you more confident? Have you experienced doing a show on a stage? does it feel nerve wrecking ? Thank you so much for coming to our school and showing us the basis of opera. Thank you Fizz, Joanne and Leo for coming to our school at showing us how you do opera. I enjoyed doing opera and thank you Fizz for singing so many songs like ” Yo my Name is Jo”. 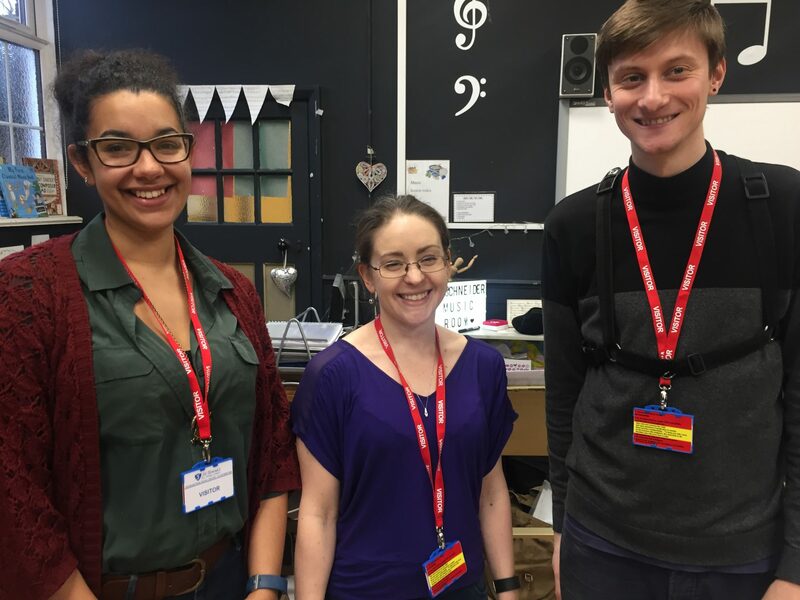 Thank you Leo for playing the Bassoon and how you use it thank you very much.Joanne thank you for putting up the workshop and teaching about opera. Thank you for coming to tell us about opera i was very inspired to hear about opera and how you sing it. I love the way that you entertain people and how you do it especially how you make people laugh by taking our class mates and making them act with you in the Guliamo and Dorabella scene [sorry if I spelt the names wrong].It was fantastic hearing the way you people work together and how you include the audience with your performances.Also, how do you train your vocal cords to get that high and powerful?Another thing I would like to potentially ask is if their are more opera performances other than drifting dragons? Also, is Leo the only musician part of your group who can use the special instrument because I love the way it sounds? Any way, thank you for performing to us and everyone really appreciates you performing so thank you! From just watching this performance I have been so inspired and have become so interested in how opera performances work. Thank you very much for coming to our school as now everybody knows how much hard work and determination that goes into just one opera performance and next one we see one we will realise and know what goes into it. If I were to ask a professional opera singer a question I would ask them, have you ever in your whole entire career ever thought you were not good enough? Thank you Ms Schneider for inviting them to our school it was a real eye opener for all of us. 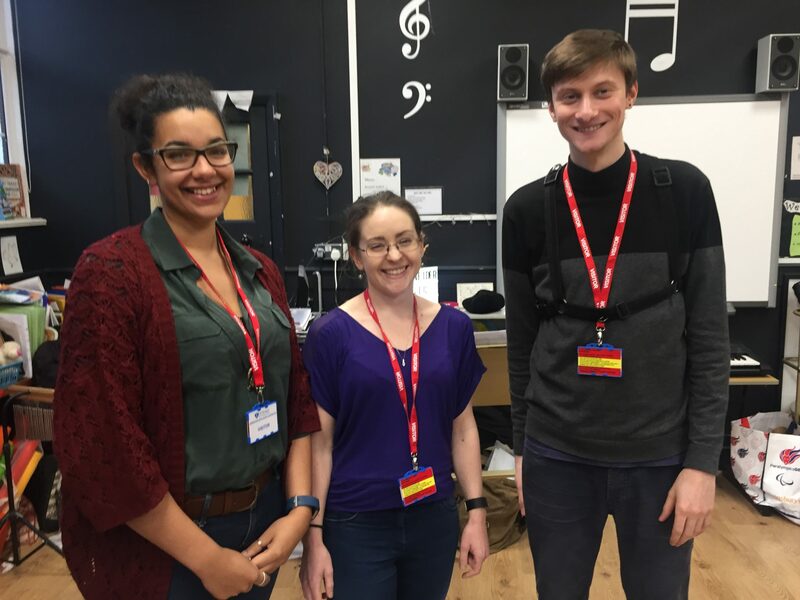 Hi Fizz,Leo and Joanne, I really enjoyed participating in the opera especially when I came up with Cameron and performed in front of the whole class besides me being a bit scared (stage fright) . It was fantastic learning a knew song and game especially because the next day everyone was singing it during break. My pondering question to you is: How many Operas have you performed in, in your whole life? what is the weirdest request you have been asked? Also what is the best and most fun thing about opera? I would like to thank you for coming to our school and I would like to say thank you to Leo for playing the bassoon and I also liked when we sang the song “Yo my name is Joe” and when we played the game zip zap bong and I would like to thank Fizz for teaching us these great songs that where pretty funny I would like to also thank all the rest of the company for joining us in our school. Thank you baseless fabric theatre for spending time with year 6. I loved the part when we learnt the song the button factory. As the song went on and on, I found it a bit complicated to do because ‘ pressing the button ‘ with parts of my body was a bit tricky . I felt a bit embarrassed with myself as I could see that other people could press the button with parts of their body. SHAME ON ME!!!!!!! Hi.Boris here, my question is for Fizz,have you ever made any mistakes on stage when singing opera?I loved having Fizz,Leo and Joanne come and peform to us games and songs. Great performance.I am very glad that you gave me a chance to sing opera in front of the class and , when i was up there i felt very nervous but you kindly aloud me to sing with my friend and thank you for letting me sing with you.I also enjoy playing a new game called zip zap boing.The button factory game was the best part of warm up and later on that day the whole year group was singing it in the play ground.i have a very quick question:Was it your dream to be a opera singer when you was younger? and i have a question for Leo:how old was you when you first started playing your bassoon ?i am very happy that you took the time to spend tome with us in the lesson.thank you for taking the time to read this:]you are all so talented and i wish i was you and your so inspiring WELL DONE:]!!! I really enjoyed the lesson you have created for us.I have a question:Who helped you choose your group name?I’m very glad that you decided to do this lesson with us!My favorite warm up game must have to be the button factory game it was so fun.I enjoyed the whole lesson but my favorite part was when my friend and I sang in front of the whole class! Thank you Baseless Fabric Theatre Company.It has been an amazing time,your performance was amazing! 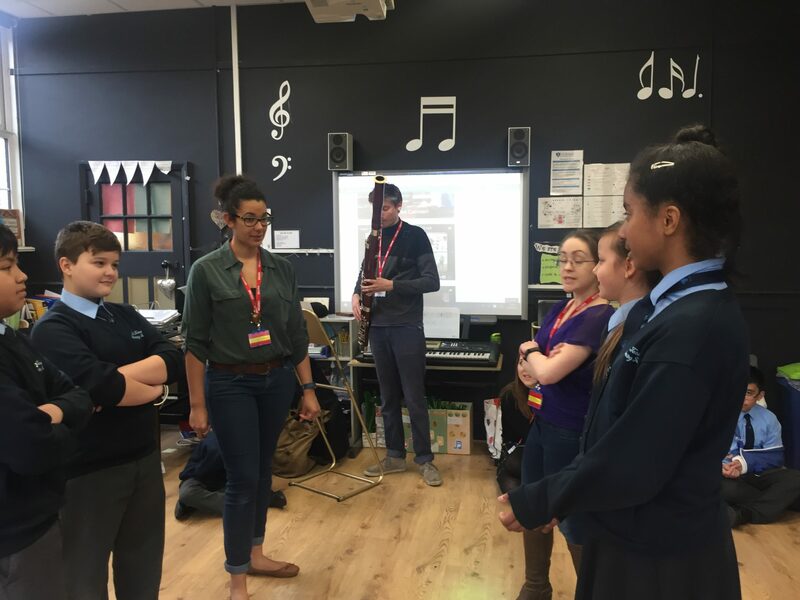 I really enjoyed the opera lesson that’s why i’d like say a big thank you for coming in to our school and giving up your time for us. My favorite part was when we done the button factory warm up and overall it was great. i really liked your voices and the opera style that you all had. I also loved it when some really brave people stood up and sang solo or duet. Not forgetting about the amazing bassoon player. When I sung my solo I was quite nervous. I thought it was a good experiance, I loved the warm ups [zip zap boing,button] . However, I dont think Id want to be doing it in future. I really enjoyed this! Especially the part when Fizz taught us The Button Factory song. Thank you all for this amazing experience;also when Leo showed us his Bassoon that looked out of the ordinary but very interesting and very hard to play. Thank you all of you for this! This question is for leo do you play other instrument? It was really a fun lesson to have this lesson for us.I really enjoy Leo playing the bassoon. I really enjoyed our lesson with Baseless Fabric . My favorite part of our session was when we got to sing part of an opera . I also would like to say a huge thank you to them as the lesson was very fun.my question for Baseless Fabric is what is it like to preform in front of big crowd . Thank you for reading this comment. I really enjoyed the part when Fizz taught us the Button Factory song, it was very fun. I also like the singing duet between Guglielmo and Dorabella; when half of the class was a confident Guglielmo and an unsure Dorabella. When Leo showed us the Bassoon, it looked very unusual but very interesting. I have a few questions: Leo, how long did it take to learn the Bassoon? Fizz, is it hard to sing all your words very high or very low or is it easy? 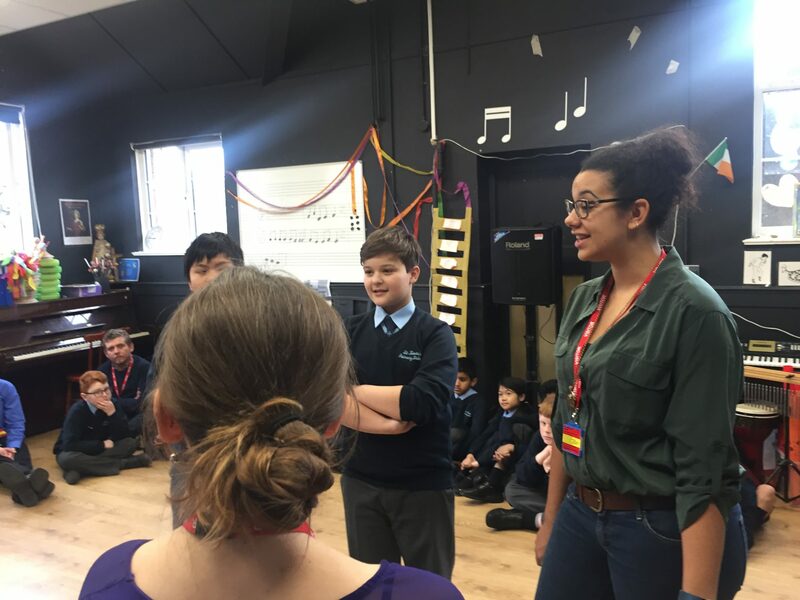 I really enjoyed it when the opera company came to our school and performed and I especially enjoyed the warm up song the Button Factory with Fizz as it was very fun and energetic . I also liked it when we sang the parts between Dorabella and Guglielmo and when the boys was on one side and the girls were on the other. Then as it went on we swapped parts then the boys were shy Dorabella and the girls were strong ,confident Guglielmo . However I would like to know how long Leo has been playing the Bassoon for and how long it took him to learn to play it? Where are there theatre ? I will like to see it one day . I loved the warm up song “button factory” because of how we interacted as a team. Also, I liked seeing the acting the songs from Carmen. However, I would like to know why you like opera? I really enjoyed that lesson.I hope we have more of them in the future. I enjoyed the fantastic lesson,I liked the game we played in the beginning Zip,Zap,Boing.I loved it when Fizz used her voice to sing.It was very high-sung like an opera.It was amazing.Also,I liked it when Leo played the bassoon which was loud. Is it scary performing on stage in front of hundreds of people especially when you have to sing and act at the same time?It must be very scary if you make a mistake. I loved the opera lession,how long did it take to learn to play the instrument? and how long did it take to get your voice high? i loved the factory game/song. This was a great show and I recommend it to children over 10 because you have to be mature to understand it. I agree with your opinion.I think over 10 should be mature. I Loved this day when we were doing the opera and I really liked when Leo was playing the Bassoon it was really good and my favourite part was when we done the Button Factory Song I loved it. Thank You so much for this day Baseless Fabric Company this day was the best Music Lesson I have ever had in the Years I have been in. I loved the way Leo played it Deep and High I would love to play it .I would like to ask where did you guys get your name from and was the Bassoon hard to play Leo and do you guys like to teach other people Opera and do you guys like singing it in Public? I give you a huge Thank You. It was EPIC!! It is good and the part I like is singing my name. good work. And I little bit like opera. And i like listening to you. Great performance. The best part was listening to you sing a and trying to do it ourselves however we were not as good as you.I also loved listing to the tall man playing the bass.However I would like to know how long did it take you to learn how to do it? Also for the solo How did you feel singing in front of us? Also I personally think Opera is fun to watch and is great to listen to as well. I also enjoyed The Button Factory as well as the other activities like the song. What inspired the opera singers to become opera singers and did they always want to be a opera singer? Such an amazing performance,I personally enjoyed it especially the “yo my name is Joe”. I have a question to ask though, why does opera always have to be sung and not spoken? This was great fun! Thank you so much for coming it was a great opera. Do you like opera? When did you start the opera group? How did you meet? What is the best performance you have had? Who created the button factory game? I really enjoyed the music from the bassoon(by Leo) and the singing parts by the Baseless Fabric company. I loved the way Leo played the bassoon.It sounded very low and funny.I would love to play it. Same it was a facinating and a very interesting instrument. I wonder where you can lean to play it, it would be a lovely opputunity to learn how to play the bassoon. Actually Allysa you can learn how to play the bassoon with Merton Music Foundation. If you are interested they can hire you an instrument and arrange lessons. Come and talk to me if you would like bassoon lessons! now my Question is how do you feel when your in front hundreds of people on the stage. I can help you arrange bassoon lessons Luca! 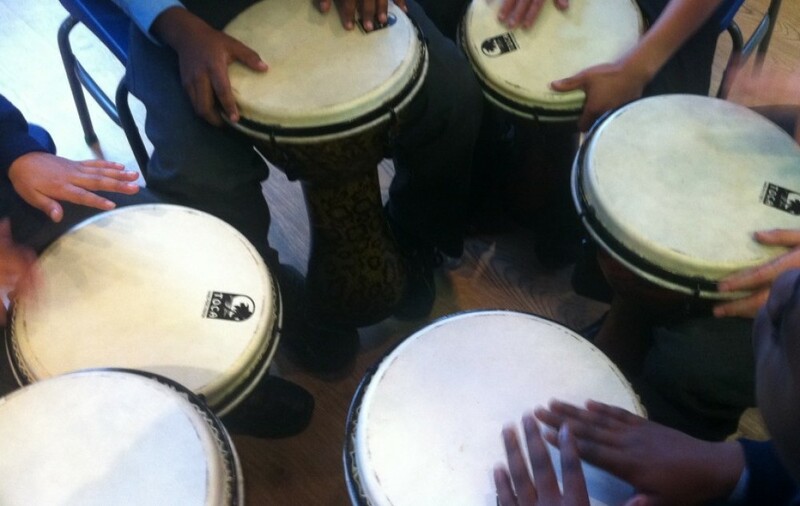 Merton Music Foundation can hire you an instrument and organise lessons. Come and speak to me! I really enjoyed the music from the trombone and the singing parts by the Baseless Fabric company. Thank you so much for coming to our school and showing us the basis of opera. I really enjoyed listening to the bassoon as it sounded very nice and I would love to play it in my free time. I would love to play on it as well.It looks very fun.